BLAISVILLE, Ga. – Annexation of the Conley property off of Pat Haralson Memorial Drive was approved and Sheriff Mack Mason was recognized during the Blairsville City Council meeting Tuesday, April 3. Last month, annexation was delayed when Daniel Davenport, owner of a 1.47-acre tract of land within the annexation route, requested access to city utilities before annexation of his property took place. In this month’s meeting, City Attorney David Barrett explained Davenport had sold his tract of land to the developers of the Conley property clearing the way for annexation. Also falling in line with the annexation is Butternut Creek Golf Course. Mayor Jim Conley explained a 50-foot wide easement of land running through the golf course from the current city limits would connect the Conley property contiguously in the annexation process. Brown also explained the development on the property is for approximately 70 proposed apartment units that will be marketed to seniors. The council approved the annexation unanimously. The council also approved the purchase of a 4×2 Gator utility vehicle from Nelson Tractor in the amount of $5,525. The vehicle, according to Conley, will be used primarily by the Street and Maintenance department to carry gardening supplies and equipment. Funding for the purchase will come from Special Purpose Local Option Sales Tax (SPLOST) funds. Jody Cook, wastewater supervisor, told the council it has been determined a faulty tank valve at the Aviagen Hatchery located near the Colwell Detention Center was the main contributing factor leading to increased levels of chemical oxygen demand (COD) at the wastewater treatment plant. In February, Cook first reported pollutants running from the Aviagen facility into the sewer system were causing increased COD levels at the plant. Cook stated Aviagen was working to resolve the issue. At the end of the meeting, Mayor Conley took time to recognize Union County Sheriff Mack Mason for his department’s continued efforts as well as cooperation and assistance with the Blairsville City Police Department. Mason continued to say the state, in recent years, has “regressed” both in the number of Georgia State Patrol troopers and in the number of Georgia Bureau of Investigation (GBI) agents, leaving more of a burden to the local law enforcement agencies. 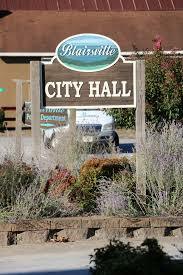 Following this, Conley proposed a $1 per hour raise for all part-time officers in the Blairsville Police Department. The raise was approved unanimously by the council.